Today my favorite cafe "Grev Axel" closes. The owners Niclaus and Agne have become great friends and Niclaus my trusted cultural advisor. 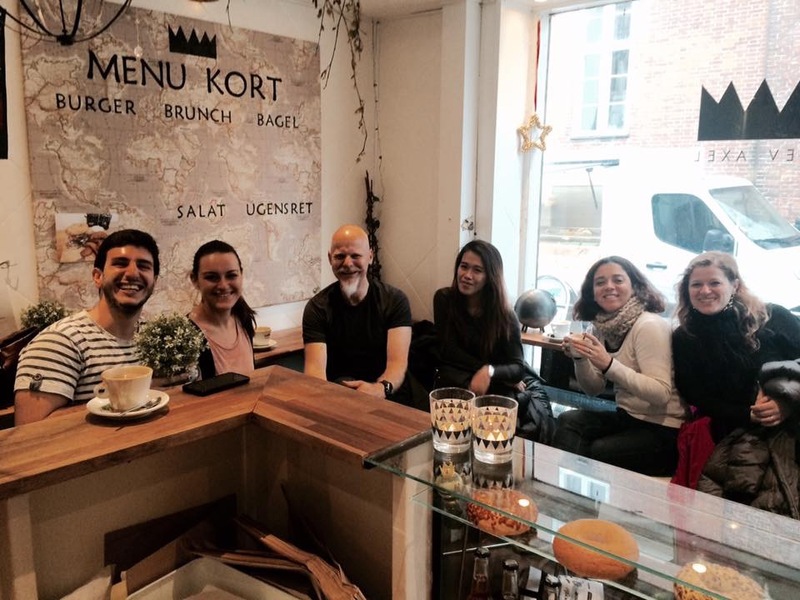 I have spent many days hanging out meeting wonderful locals, eating great food (including my inclusion on the menu the Aussie Burgrer) and of course the best coffee in Kolding. As a fitting end to the Sprogskole (Language school) year and Grev Axels passing here I am in grev Axel with my mates from school for a final Coffee. Are they getting great demands for the Aussie Burger?